From 2008 to 2010 I transcribed scores of letters by and to John Tyndall, knowing that they were slated for publication eventually. January 2015 saw the publication of the first volume of The Correspondence of John Tyndall, and the second volume will be published soon. And two more in 2016, and two more the next year, and so on. Eighteen volumes in all. I am happy to share that I will return to working on the project, as a third co-editor for volume six (which will be published in 2017), with Darwin biographer Janet Browne and physicist Norman McMillan. The volume will cover the letters from 1856-1858. I will spend my time as co-editor largely look over the transcribed letters for accuracy with a fine-tooth comb. I’ll enjoy getting back into doing some history since I finished my masters degree in 2010, and am honored to have been asked to participate again. Pickering & Chatto has published as part of their Science and Culture in the Nineteenth Century series a collection of papers about the nineteenth-century Irish physicist John Tyndall, who wrote and lectured for the public, was a member of the X Club and Darwin supporter, and vocal critic of religion. Most of the papers are from a conference, held in Big Sky, Montana in June 2012, that brought together historians and students working on the John Tyndall Correspondence Project to present their research. I attended, and presented my MA paper. Unfortunately, for the publication, I did not have the resources necessary to do continued research for my paper. But I am happy to see the publication out, and delighted to see my paper in the book’s very first footnote. If anyone wishes to see my paper – “The ‘efficient defender of a fellow-scientific man’: John Tyndall, Darwin, and Preaching Pure Science in Nineteenth-Century America” – let me know, and I can send you a copy. Bernard Lightman and Michael S. Reidy, eds. 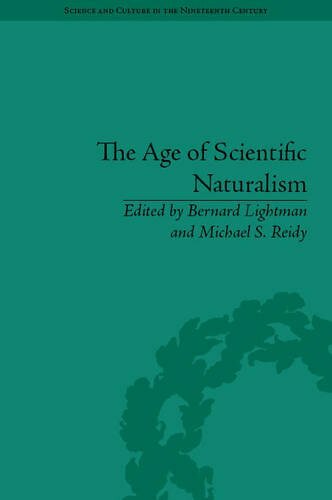 The Age of Scientific Naturalism: Tyndall and His Contemporaries (Brookfield, VT: Pickering & Chatto, 2014), 272 pp. Publisher’s description Physicist John Tyndall and his contemporaries were at the forefront of developing the cosmology of scientific naturalism during the Victorian period. They rejected all but physical laws as having any impact on the operations of human life and the universe. 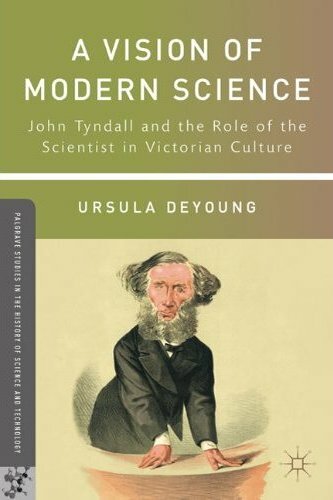 Contributors focus on the way Tyndall and his correspondents developed their ideas through letters, periodicals and scientific journals and challenge previously held assumptions about who gained authority, and how they attained and defended their position within the scientific community. You can view the contents of the volume here, read the introduction here, and read James Ungureanu’s blog post about the volume here. 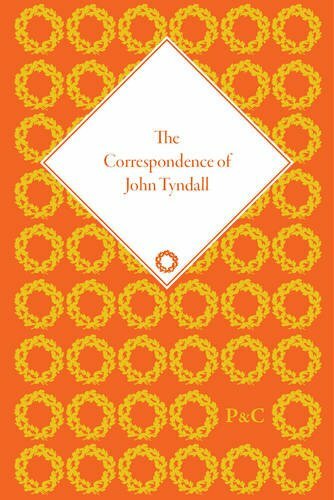 Also, the first two volumes (of at least sixteen) of the The Correspondence of John Tyndall will be published by Pickering & Chatto in 2015. The podcast Science Spinning in Ireland interviewed Norman McMillan about John Tyndall on October 12th. Click here (direct mp3 download). John Tyndall is an overlooked genius from Ireland whose work revolutionised science and created entirely new experimental techniques and scientific disciplines. His work on infra-red spectroscopy served to form the basis of our understanding of the Earth’s climate system and current awareness of the threats of global warming and climate change. In this, he is ranked with the greatest physicists of 19th and 20th century – “Fourier, Tyndall, Arrhenius, Kirchoff, Planck and Einstein”, (Ray Pierrehumbert, Physics Today, Jan 2011). In the 150 years since the publication of Tyndalls seminal work, the sciences of atmospheric radiative transfer and climate have developed and deepened our understanding of the world we live in and our impact upon it. This conference will celebrate Tyndall’s achievements and examine developments in key areas of climate science, current scientific issues and their implications. It will also celebrate the increasing recognition of Tyndall’s work and reputation. John Tyndall: his life, work and scientific legacy – A number of presentations highlighting different aspects of Tyndall’s contribution to science. Greenhouse Warming Potentials and other metrics for comparison of radiatively active substances. Climate feedbacks: the current science. Abstracts should be submitted by July 1st 2011. 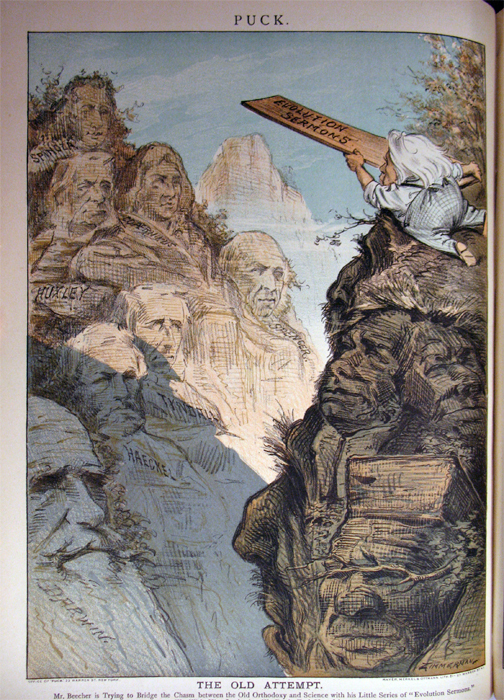 Head on over to Tim Jones’ blog Zoonomian for a neat post about Tyndall and Huxley in the Alps. February will see the publication of Ruth Barton’s The X Club: Power and Authority in Victorian Science , in the Studies in History of Science series from Ashgate. Barton is an historian of science at the University of Auckland, and a participant in the Tyndall Correspondence Project. I assume this book is a culmination of her many published articles on the X Club. 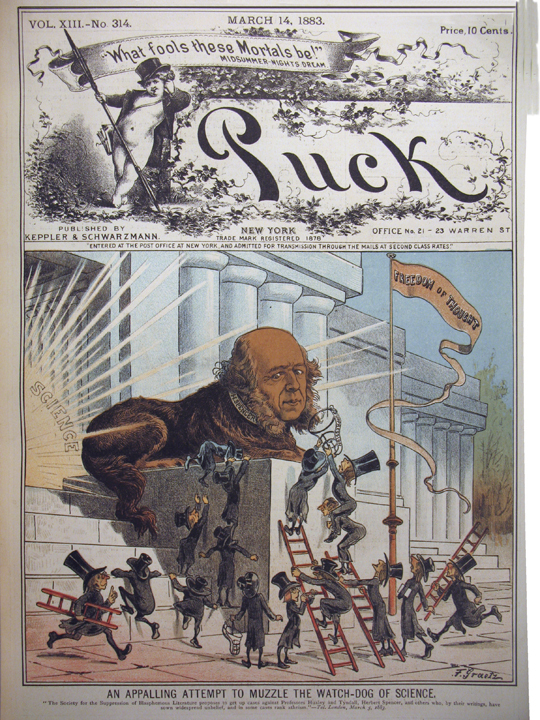 June 3, 1885, "Mr. Beecher is Trying to Bridge the Chasm between the Old Orthodoxy and Science with his Little Series of 'Evolution Sermons.'" 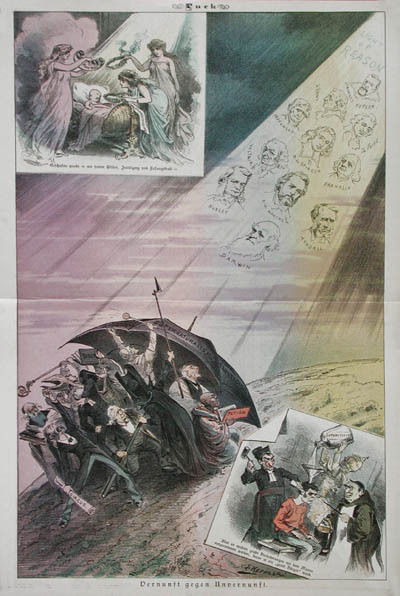 March 14, 1883, "An Appalling Attempt to Muzzle the Watch-Dog of Science: 'The Society for the Suppression of Blasphemous Literature proposes to get up cases against Huxley and Tyndall, Herbert Spencer and others who, by their writings have sown widespread unbelief and, in some cases rank athiesm.' -- Tel. London, March 5, 1883."